A special kind of baseball game was held at Village Park in Wellington on Saturday. 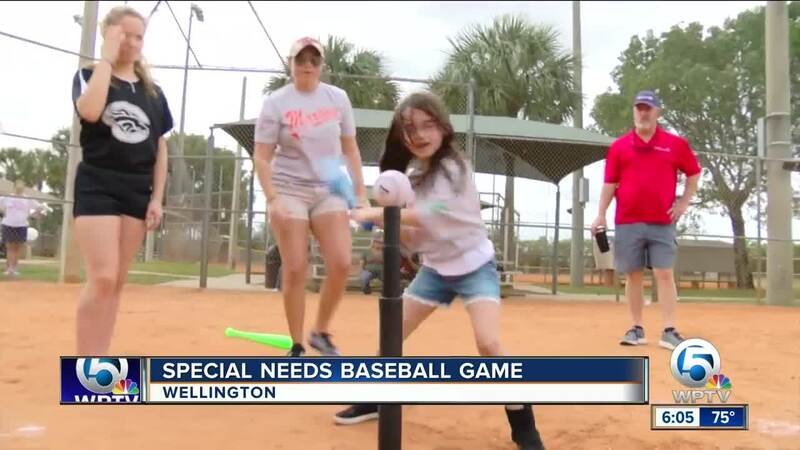 WELLINGTON, Fla. -- A special kind of baseball game was held at Village Park in Wellington on Saturday. Thanks to the organization "League of Yes", special needs kids were able to play some ball without worrying about being judged. Each child got paired up with a "buddy" to show them the ropes and run the bases with them. If you'd like to get your child involved or volunteer, it's not too late. League of Yes plans to host a showcase game once a month. For more information visit their website .